This is my favourite salad recipe ever. Cut the ends off the beans and cut into threes. Steam these for about 10 minutes until just cooked (but still firm). Transfer to a plate and allow to cool. Crumble the feta into a bowl. Pour in the olive oil and garlic and mix well with a fork. If the feta is too dry, add more olive oil. If you are a garlic fiend, add more garlic. Shred the lettuce into a salad bowl. Add the feta mixture and mix well, allowing the garlic and olive to saturate the lettuce too. 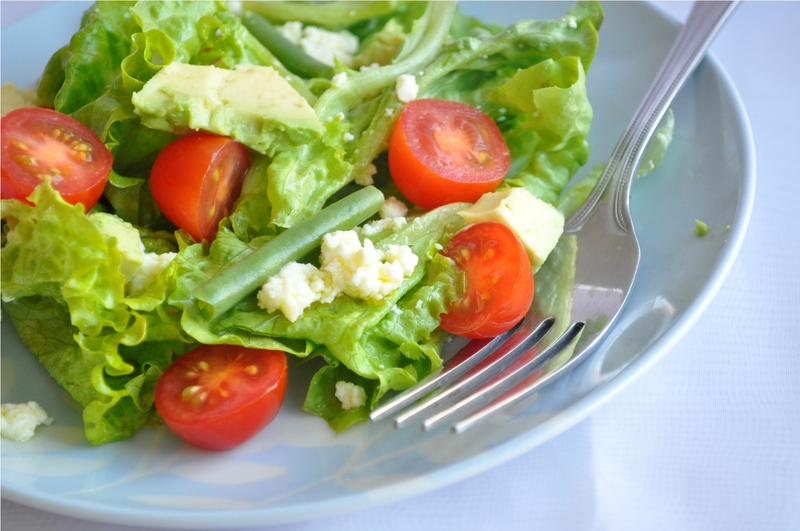 Add the cooled green beans, avocado and tomatoes.